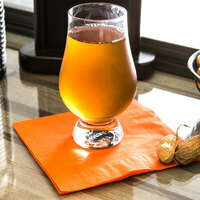 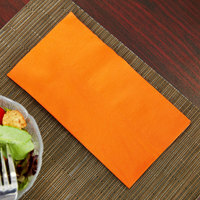 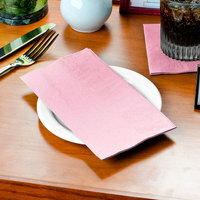 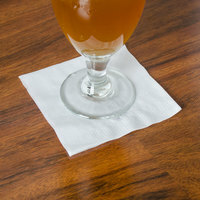 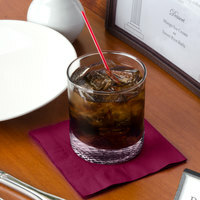 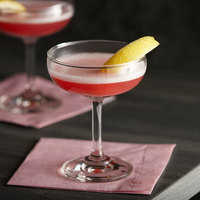 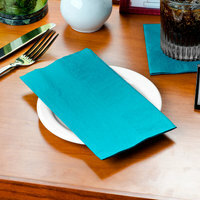 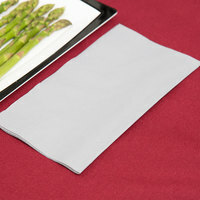 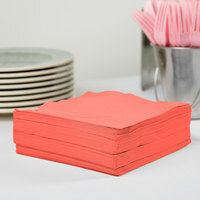 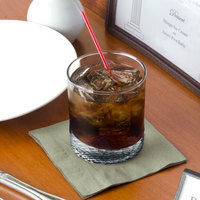 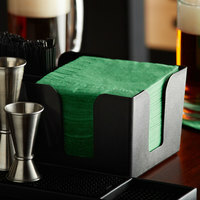 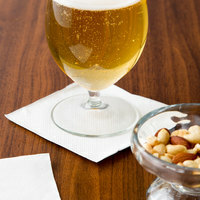 A peach dinner napkin adds a subtle, attractive color to your dinner presentations. 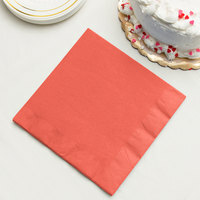 These peach colored paper napkins are designed to create a soft visual appearance while complementing your business's décor and tables. 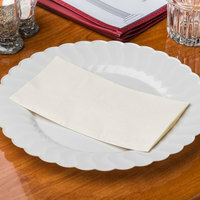 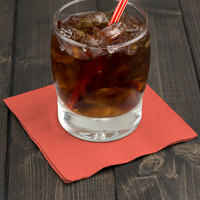 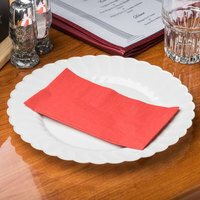 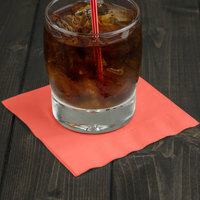 The perfect companions for melamine, china, porcelain, and other dinnerware, peach colored dinner napkins are excellent products for caterers, restaurants, and more. 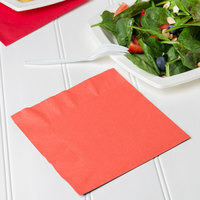 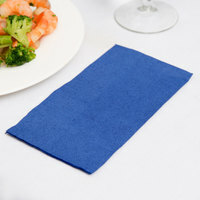 Because of their neutral coloring, peach dinner napkins go well with virtually every other color, including distinguished whites, calming blues, and even bold reds. 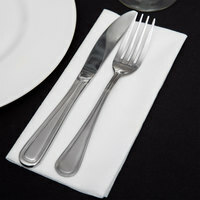 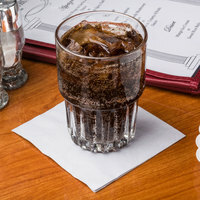 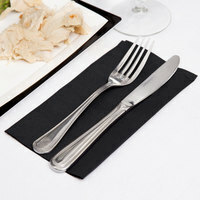 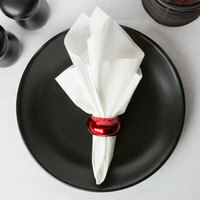 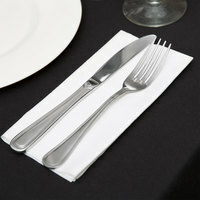 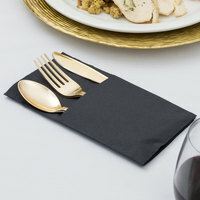 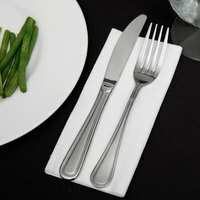 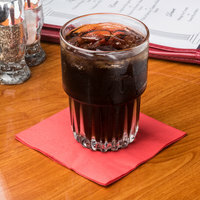 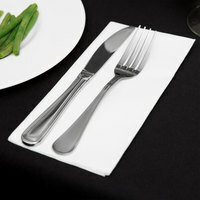 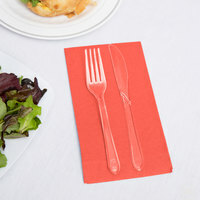 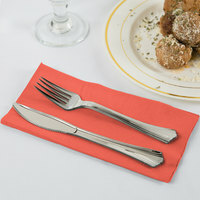 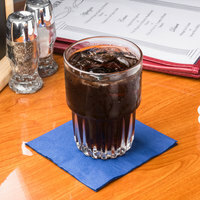 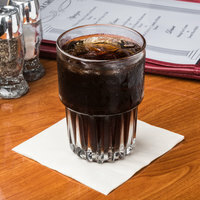 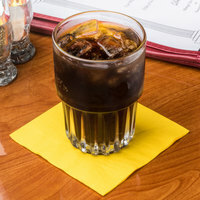 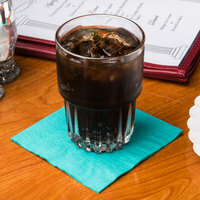 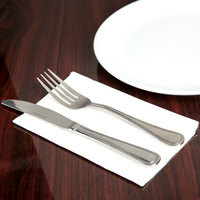 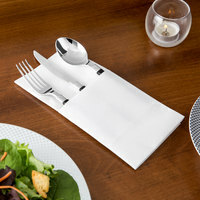 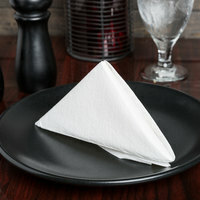 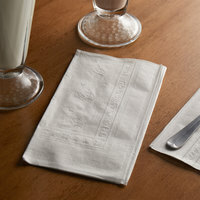 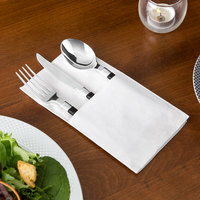 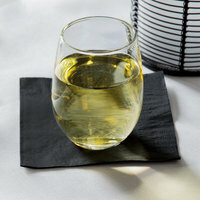 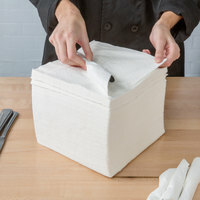 They look great with both plastic and metal flatware, and each peach dinner napkin quickly unfolds to cover customers' laps as they enjoy your food.